The Trump Administration has handed control of Venezuela's bank accounts in the United States to Venezuelan opposition leader Juan Guaido, whom Washington and most Latin American countries have recognized as interim president. 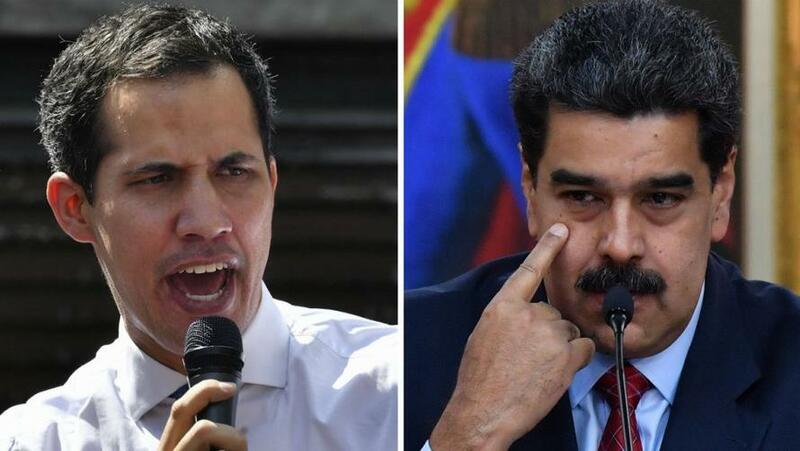 Backing Guaido are the United States, Brazil, Canada, Colombia, Argentina, Peru, Ecuador and Paraguay, while countries including Russia and China continue to recognize Maduro as Venezuela's president. The order to to turn over assets held in the Federal Reserve Bank of New York and federally insured banks was signed off on last week by Secretary of State Mike Pompeo, according to AFP. "This certification will help Venezuela's legitimate government safeguard those assets for the benefit of the Venezuelan people," said State Department spokesman Robert Palladino. In a Monday interview with CNN in Spanish, Guaido said that Venezuela's opposition-controlled congress had authorized a measure asking foreign nations to take measures that would ensure Maduro can't "loot" the country's roughly $8 billion in foreign reserves. To that end, the Bank of England last week denied Maduro's request to pull $1.2 billion of gold, which Guaido has asked to be put under his control. Maduro, meanwhile, has accused the United States of leading an open coup to oust him in order to access the country's vast oil reserves - the largest in the world. To that end, the US hit Venezuela's state-owned oil company with sanctions on Monday. Russian Deputy Finance Minister Sergei Storchak admitted to Russian state news agencies on Tuesday that "there will probably be problems" when it comes to Venezuela's meeting debt obligations - noting that it owes Russia $3 billion, with repayments twice a year of approximately $100 million each. The next payment is due in March. Russia has vast commercial interests in Venezuela - including the a partnership with the recently sanctioned Petroleos de Venezuela SA. Hours after Storchak's comments, however, the Kremlin said that they expect Venezuela to make its next scheduled debt repayment. According to Kremlin spokesman Dmitry Peskov, Moscow views the sanctions as "illegal" and a tool of unfair competition. On Tuesday, US Treasury Secretary Steven Mnuchin told Fox Business Network that there may be more economic pressure in store for Venezuela. "We will always look at additional sanctions to make sure we protect the assets of the country for the people of Venezuela," he said, adding that the United States would work to ensure that medications and other humanitarian goods are still allowed through. On Monday, Mnuchin described Petroleos de Venezuela as a vehicle for "embezzlement and corruption," arguing that the sanctions would put further pressure on Maduro to relinquish control.